alaTest a collecté et analysé 315 avis de consommateurs et d'experts pour le produit BLU Vivo XL. La note moyenne du produit est 4.3 sur 5, tandis que les autres Téléphones Portables ont une note moyenne de 4.1 sur 5. De nombreux avis apprécient les performances. Après analyse des notes de consommateurs et d'experts, de l'âge du produit ainsi que d'autres facteurs, et comparé aux autres Téléphones Portables, le BLU Vivo XL obtient un alaScore™ de 86/100 = Très Bien. For the 5.5-inch Blu Vivo XL, low cost is the name of the game. The big Blu Vivo XL is all about the cost-to-size ratio. 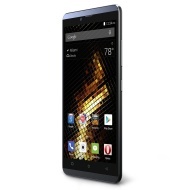 Introduced last month at CES, what does the latest budget-friendly offering from BLU bring to the table? We find out, in this in-depth review of the BLU Vivo XL! It's AMOLED display, 4G LTE support, and excellent battery life are all great reasons to buy the BLU Vivo XL, with its impressive $149 ($99 for a limited time) price point more than making up for any flaws the device may have. I really love this phone, and for the money its one of the best around I feel. Nice phone for the price. People actually thought I was carrying an IPhone. High resolution and sharp, everything is functional well. Phone is thin and light weight. Best Bang for the buck for 5.5 phone. good phone for the money but the camera is not very good .